The final review meeting of the 2018 May Festival was held on Thursday, 12th July. 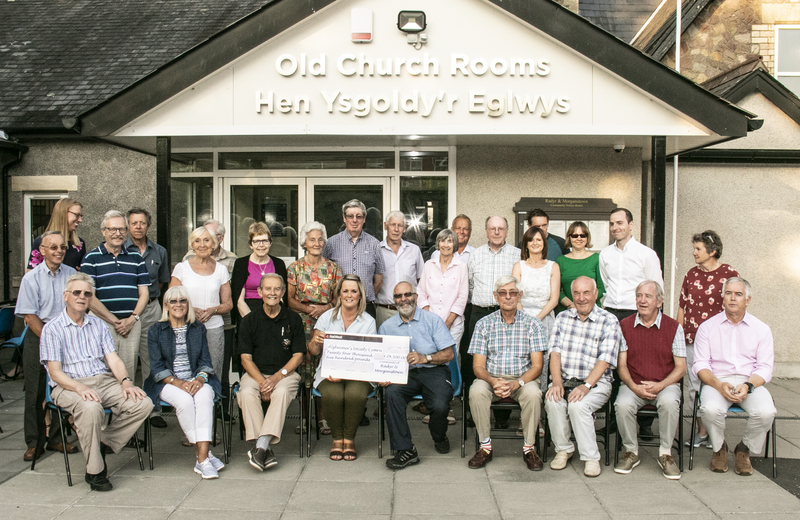 At the meeting, David Silver, Chair of the Radyr & Morganstown Association (and Chair of the Festival Committee) presented Cheryl George (Community Fundraiser South East Wales for Alzheimer’s Society Cymru) with a cheque for £24,500. This is the sum raised by the whole community of Radyr & Morganstown over the whole year, including the Festival. 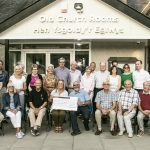 The money was raised from many sources including the local schools and events arranged by the newly formed R&M Alzheimer’s Group (Chair Mark Richards). This is by far the largest amount raised so far on behalf of the Association’s nominated charity. Cheryl George expressed her heartfelt thanks to the Association for choosing Alzheimer’s Society Cymru for 2017/18 and to the R&M Community for both raising such a fantastic sum and for raising the awareness of people suffering from all form of dementia. She was delighted to note that the R&M Alzheimer’s Group will continue to raise funds in coming years. 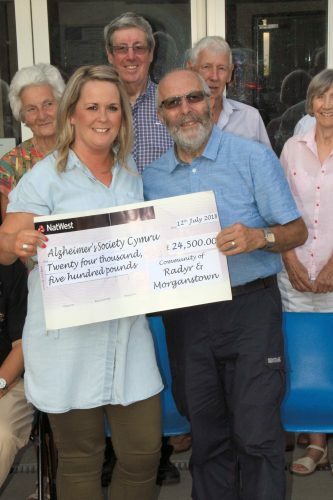 Alzheimer’s Group join in the acceptance of the cheque.